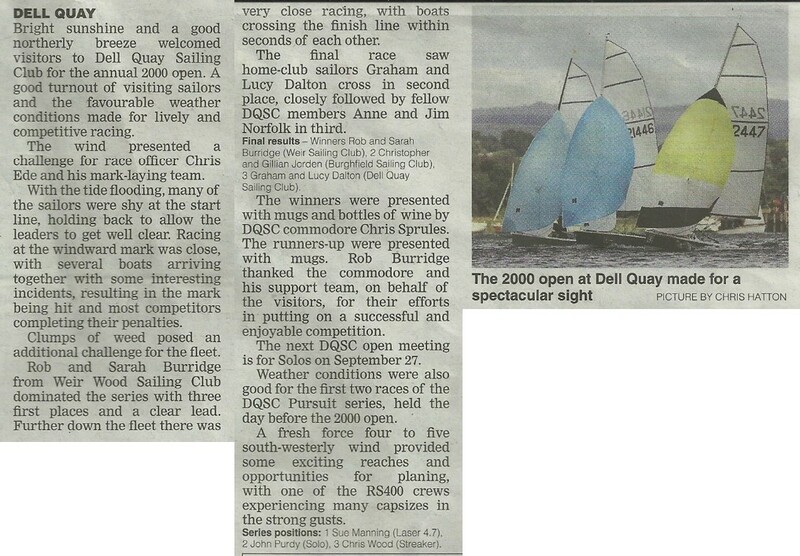 The annual DQSC 2000 open meeting was well supported by visiting sailors and club members alike. Report by Andrew Horne, with contributions from Peter King and Rob Corfield. Pictures by Chris Hatton. An additional report by Graham Dalton, from a competitors viewpoint, follows the press report. The 2000 Open Meeting as experienced by the competitors.